I was fortunate to write Empires Of The Imagination in the early 2000s, a period that turned out to be one of the most exciting periods in the history of fantasy cinema. While The Lord Of The Rings and the Harry Potter series duked it out at the box-office, innovative novelists like Philip Pullman and China Miéville were challenging traditional conceptions of written fantasy, paving the way for future movie material. Critics and pundits gathered to give fantasy cinema a belated appraisal. What frustrated me, however, was just how ill-informed much of this discussion actually was, founded mainly upon an astonishingly narrow view of what actually constitutes the fantasy genre. Fantasy cinema encompasses more than most people realise. Sure, the genre is best known for its excursions into magical worlds, as in The Wizard Of Oz, The Dark Crystal and The Chronicles Of Narnia. But fantasy cinema also admits incursions of magic in our own world, as it does in Peter Weir’s Picnic At Hanging Rock, Alfonso Arau’s Like Water For Chocolate, Wim Wenders’ Wings Of Desire and Woody Allen’s Zelig. Fantasy cinema also enriches us more than we may realise. The greatest fantasy films do not escape reality; they engage it from a fresh perspective. They do not seek to console; only reveal the heart’s desire in our own back yard. The greatest misconception about fantasy films is that they offer an absolute escape from the real world. The truth is they cannot, and we must beware those charlatan movies that say they can. In Empires Of The Imagination I attempt to define this most misunderstood of movie genres. Films like Edward Scissorhands, It’s A Wonderful Life and Conan The Barbarian aren’t merely the uncategorised leftovers of horror and science-fiction, but belong to a genre that thrives in its own right, sustained by its own history, conventions and concerns. I’ve done my best to explore fantasy cinema in its entirety. Ruby slippers and seven dwarfs; labyrinths and gothic fairy tales; avenging angels and charming devils; lost worlds and swapped bodies; friendly phantoms and rifts in time; feminist witches and boy wizards; Italian strongmen, Austrian barbarians and all-American adventurers; heroes of Greece, kings of Albion and Hobbits of the Shire. How will fantasy cinema maintain this legacy? I hope Empires Of The Imagination will help establish the basis for debate. 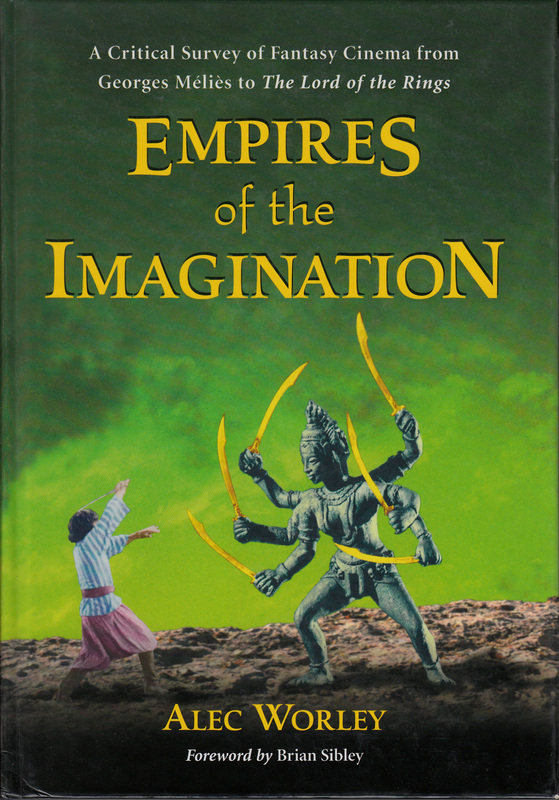 Empires of the Imagination is available from Amazon UK, Amazon US and the McFarland webstore. Foreword by writer, broadcaster and fantasy/animation historian Brian Sibley. "Terrific analysis... an impressive book." "An impassioned and enthusiastic read that really makes you want to seek out the more obscure titles." "Comprehensive... meticulously researched... richly illustrated."